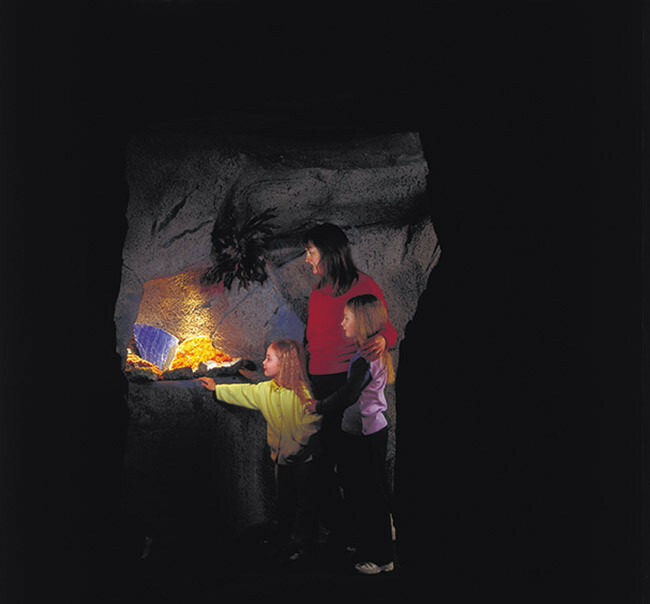 In our unique Crystal Cave you will see crystals and minerals displayed in a realistic cave setting. 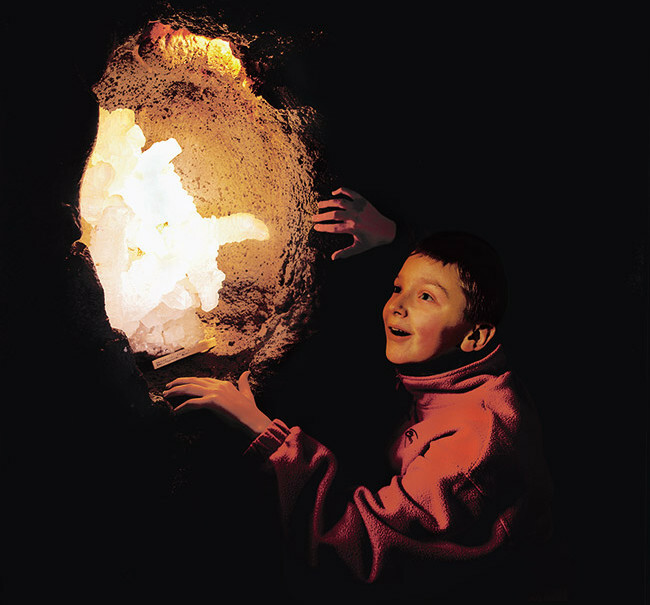 Beautiful jewel-like examples will be revealed around every corner. 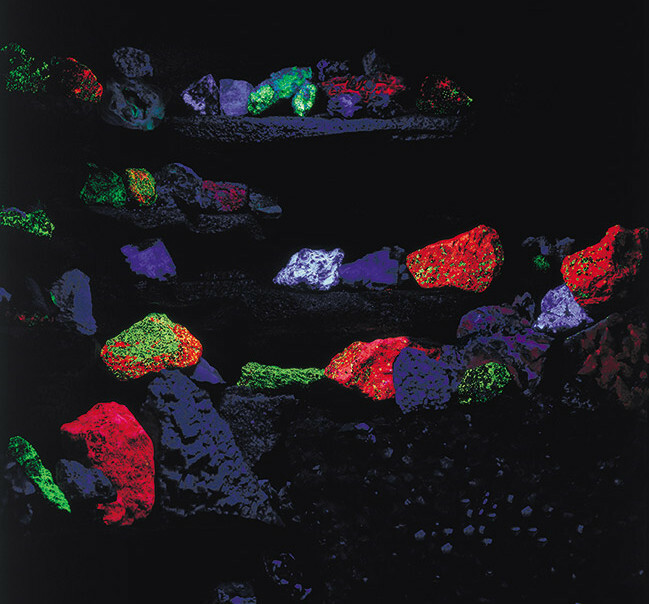 Then there is the fluorescent display in which ordinary looking rock specimens suddenly take on a colourful glow, a phenomenon brought about by the mineral’s natural composition.